Electronic Arts is releasing a new SimCity game in March 5 2013 with a team lead by creative director Ocean Quigley who has worked with SimCity 3 and SimCity 3000 previously, and Stone Librande as producer. The game is coming out for PC, Mac, and as a game download for both platforms also. Graphics look quite detailed and complex, resembling style wise a bit of recent The Sims games (though series are not connected), but quite well updated though. For those who don't know, SimCity is a city building and management simulator involving lots of strategy, where you increase your wealth the more your city creates profit, and the series has been running quite long since the first SimCity game, that came out as top-down 2D-view game by Will Wrightin and Maxis Software in 1989. 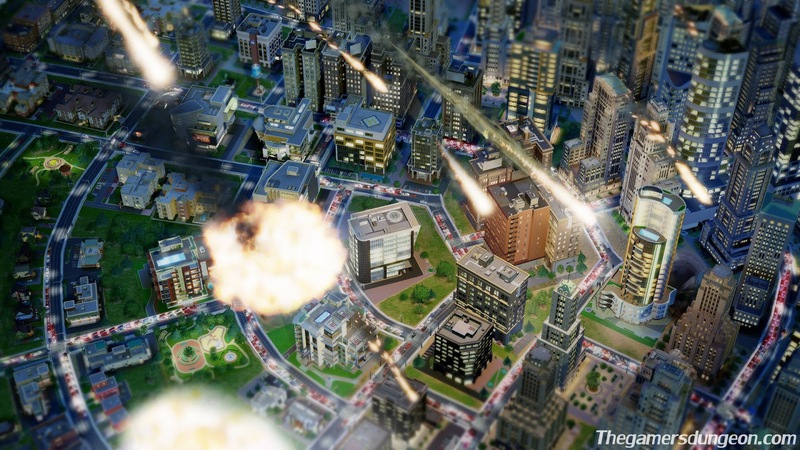 The new SimCity will feature single player mode with seamless merge of multiplayer-mode when ever you feel like inviting one of your friends to play along you. You can now not only build and manage one, but multiple cities at once, though the maximum size of each seems to be pre-defined by outside borders. However, all multiple cities belong to same game play universe and are connected together, whereas many events in each cities do affect with the others. For example: tourists can travel from one city to another. If criminal activity gets out of hand in one city, it can spread to the neighbour city. You friends can join your game any time and start building their own city to any of the city spots left in your current game universe to compete with you. You can plan your cities from the scratch planning the road network and type of buildings that you want to build there. There's many style of cities you can plan with many ways to make money and build your city even more glorious, such as: creating the city for tourists with casinos and stadiums, or building an industrial city. But your choices have consequences. Casinos attract criminals, thus you have to put money to increase amount of police stations. Badly planned road network will cause traffic-jams. Lack of fire stations will make it hard to control situations when buildings are set on fire. You can also build hospitals, universities, and much more. You even have to build up power-network for your city with form of power including choices of wind, oil, and nuclear power for example. Also beware and prepare for environmental hazards! The new SimCity will feature quite dynamic game world with vast ways of playing and quite deep city economy, as well as nice import of multiplayer mode and nice graphics (for those who care).